Bitcoin (BTC): Can you Believe in a Base? Over the weekend, Bitcoin (BTC) volatility produced a rally to the 21-day moving average (blue line curved, Figure 1). Bitcoin (BTC) hit the average, and the bears pounced. So, Bitcoin’s (BTC) attempt to generate upside momentum failed quite badly. The only good news about the failed rally and subsequent decline is it nicely followed our modified map of the Wyckoff bottoming scenario (Figure 2). The textbook Wyckoff scenario is shown in Figure 3. That scenario implies Bitcoin (BTC) may be in a basing or accumulation phase. Our scenario showed a drop to the low $3,400 area that should be followed by a small rally and then a final climactic decline near the end of the month. Conversely, the bear case is pretty strong. Bakkt futures have been delayed, again. Those futures would allow physical delivery of Bitcoin (BTC), a feature that was thought to be key to bringing in buyers from the professional investment management community. Also, there is the Ethereum (ETH) hard fork. In a way, the Ethereum hard fork reminds us of “solutions” proposed to Brexit and the Italian credit issues. The process there is called “kick the can down the road.” With this thinking, dragging the process out leads people to ignore any really bad news until the issue comes to a head. Bottom Line: There is chart work and news to support a really bearish view, and a slow-moving bullish base to support a contrarian bullish view. The one thing that seems certain is that a major move in Bitcoin (BTC) is coming soon. 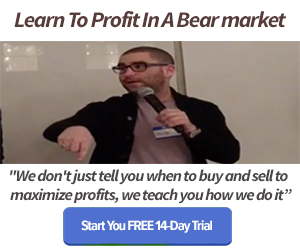 Join me in Crypto.IQ Trading Room as we work to generate positive P&L regardless of which direction Bitcoin (BTC) breaks.